Just in time for Christmas I have a giveaway! 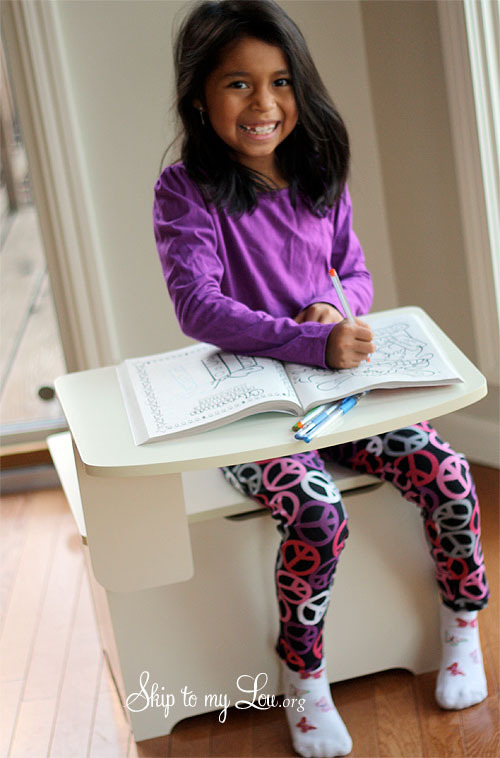 Wouldn’t this desk be a fun thing for your little one to wake up to on Christmas morning?! You could even personalize it with their name. This new little piece of furniture called the Chest R Desk is so versatile. It’s a chest, a chair and a desk all in one! It really is a great idea! 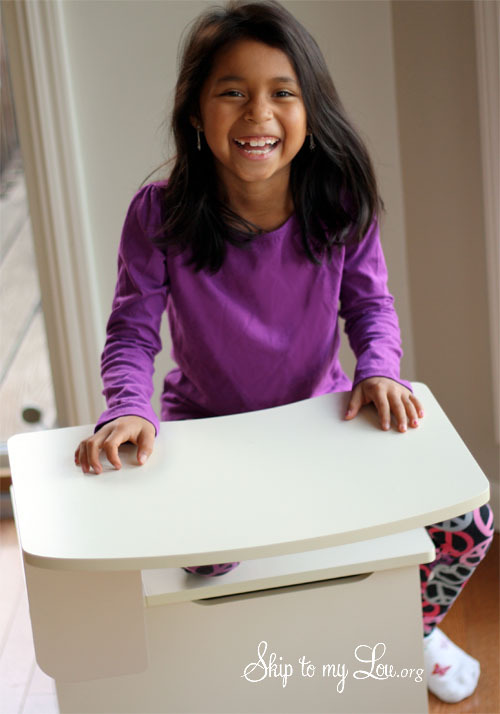 You say it like “chester-desk”.They sent us one for review– such a clever design to have the desk and storage all in one! I was impressed with how sturdy the chest r desk was. It makes a great chair! My little artist loves it. And the best part is the chair stores all her supplies. It was a hit at our house! It works for kids between the ages 3-12 years old. It would be great for homework, craft projects, homeschool and so much more. 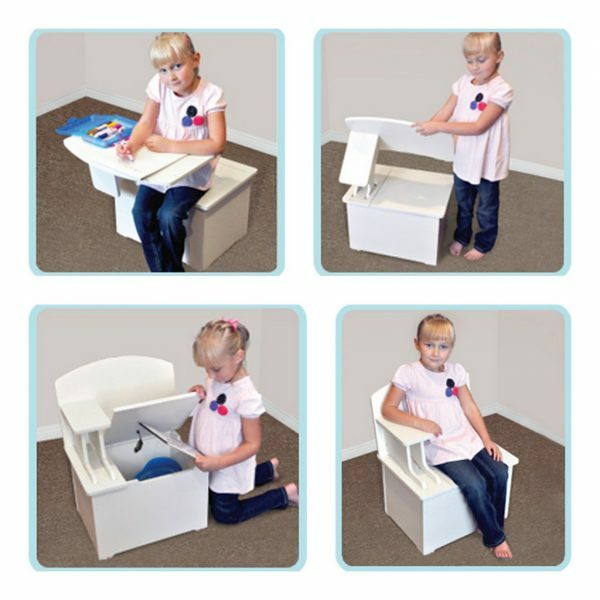 I love how the little chest below allows your child to keep all their items with the desk. The design is great too! The hinge on the chest is one where it closes slowly so it will never slam shut. It also has a little cut out to avoid little fingers from getting smashed. It comes with decorative decals if you’d like to decorate it, or you could customize it however you’d like. Simple vinyl with your child’s name on it would be so cute! At just under $60 dollars, it would make a great Christmas gift! It might also be a great suggestion to the grandparents on what to buy for the grandkids! I guarantee that most Grandparents would rather buy something like this that will encourage creativity than another electronic gadget. Visit the Chest R Desk if you’re interested in purchasing, and you can also find the Chest R Desk on Facebook. Orders of multiple units will receive a 10% discount on their entire order. *Disclaimer: this is a sponsored post, all opinions are my own. Thank you for offering this generous giveaway! Just what I've been looking for! Thanks so much! i have a little boy who would love this desk. I have not seen these before or the company. Would love to win this for my grandson he would love it. He is having a hard time this year as christmas is here. His dad is a young father and doing the best he can and his mom is at rehab getting her life together for them. This would be great to have under the tree for him with a package hidden in the seat. This would be a great addition to my daughter's room! She loves to have some quiet time after school every day - and is usually reading or drawing. Thanks for the giveaway! I'd love to enter to win one, but I don't have a Facebook account and can't make it past the first option that requires you to like something on Facebook. Thanks for posting this. I'm buying one for each of my two kids. Six grandkids, one six year old (long story) make this a necessity!! Thanks"
This is the perfect thing for my three year old artist who always has some kind of coloring device in her hands at all times She would love this. Thank you for a chance to win!! 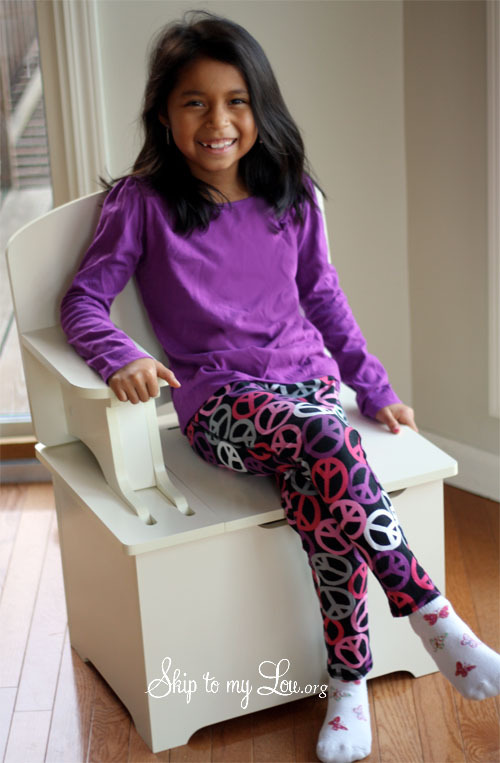 These little desk/chairs are so awesome!!! My boys (2&3) would flip if they found one of these on christmas morning. Again thank you for a chance to win. Have the perfect little guy to hone his craft at that desk! This would be perfect! I'm redo-ing my kids' bedroom and my son specifically asked for a desk just like this one.